This is my attempt to cram some nutrition into my kids before they head out for the candy-filled bacchanalia that is Halloween night. My daughter likes shrimp, but my son doesn’t. My son likes curry, but my daughter doesn’t. I like all of the ingredients in this recipe. Overall, it is a better idea to have this on the night the kids are at their dad’s house. The girl is cooking this night. I love it when she cooks! I am not really sure about this one. I am thinking about cutting out wheat for a bit to see if I might be having some issues with gluten. Although, if I cut it out all week, and I feel better, this might be a good test to see if wheat is the culprit. I have a fair amount of salad stuff that I want to use for lunches. We are doing a lot of oatmeal for breakfasts, plus hash browns, sausage and eggs. I know, that sounds heavy, but we don’t do it all at once, and the sausage won’t be every day. I am trying to make sure we get a good filling breakfast to start the day, though. 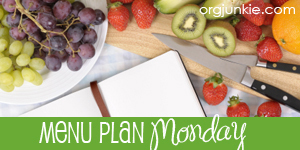 This post is part of Menu Plan Monday at OrgJunkie. It is the first room people see when they come into the house, and the room where we spend a lot of our time. It needs the smallest amount of work (because, see reason number 1). I already got a head start on this one. I have a couch set up in the room in such a way that there is in empty space behind it. When you put things back there, you can’t see them when you are sitting and relaxing in the room, but it is practically the first thing you see when you walk into the house. This is a spot that tends to collect stuff. The reusable grocery bags waiting to go back to the car and the kids shoes, while not strictly great looking, are not a huge problem, but the stuff I am decluttering out of the rest of the house does contribute to a mess back there. I go through other rooms in the house, bagging up extra clothes, books, old toys, whatever, and it all goes behind the couch. In theory, I am supposed to take this stuff out to the car the next time I go, but in practice, it piles up until it drives me crazy. Then, it seems to collect granola bar wrappers and dirty socks, which make me crazy every time I make any attempt at cleaning it up. So, a couple of weeks ago, I cleared it all out one more time. It is beautiful back there! Now, for the rest of the room. Wash the couch. The dog likes to sit on the couch, and it doesn’t really look very nice anymore. I need to figure out what to do–I think I can take the slip covers off and throw them in the washer, but I am not sure. Declutter–end table, storage cube, bookshelves. There is not a huge amount of clutter in these areas, but they aren’t clear and peaceful, either. Hang picture. I have a picture that hung on my wall using 3M’s velcro picture hangers for two and a half years with no problem. 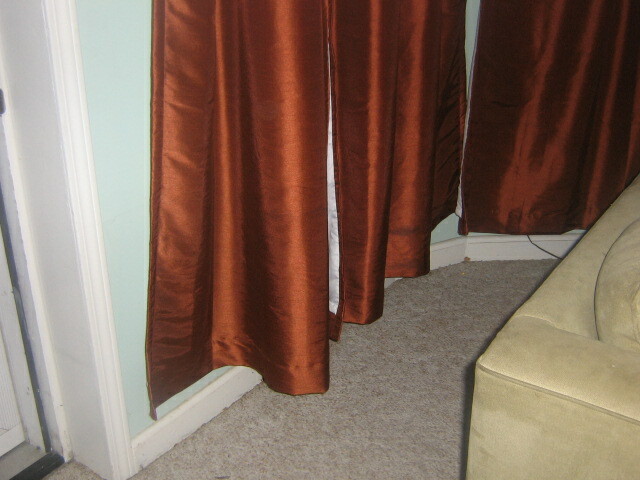 Then suddenly, it fell down, scaring the heck out of me. I figured the velcro was just old, so I got new hangers, but apparently the picture has gotten heavier over the years, because it fell again within a week. Time for some serious picture hanging, I think. Also, maybe I should dust more. Ahem. 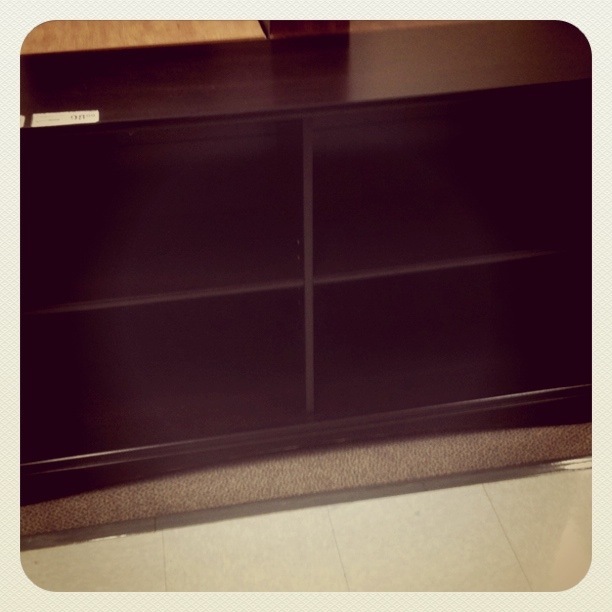 Get some sort of shelving unit for behind the couch to hold our stuff. Or table. Something. One idea is this set of shelves I saw at Office Depot. I could get some canvas baskets to hide the clutter, and the kids could put their shoes and school stuff on the shelves, so it would look like an organizational system rather than a big pile of junk. Get new cords for the wall sconces so that they actually work. Consider a coffee table. On the one hand, I like the openness in the middle of the room. On the other hand, we have no place to set drinks down. Fix handle on the outside door. The kids have let this door bang shut behind them so many times that it doesn’t work correctly anymore. Pushing on the handle from the inside or turning it from the outside doesn’t pull in the stopper so that the door opens. The only way to open it is to carefully push the little lever in and gently push it past the door jamb, so we have to prop it open using the lock when we leave the house so that we can get back in. Re-cover the chair cushion in which the dog has torn a hole. Paint the beams a dark brown, possibly with some kind of wood grain effect. Leave the beams white, and paint the insets navy blue, with some kind of star effect. GloNation has glow-in-the-dark paints and powders, plus a tutorial on how to create various effects on their site. I think this could be very fun, but I don’t want it to look too cheesy. The zodiac stenciling kits lmight be a cool way to do this, but I wonder about using a stencil on a textured ceiling. How hard is it to keep the paint from bleeding out when the stencil cannot get flush to the entire surface? Leave the beams white, paint the insets silver. 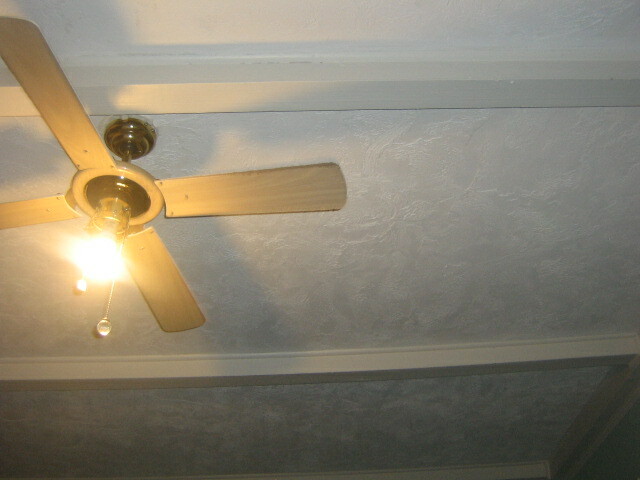 Replace the ugly ceiling fan. I like having a fan in the room, but I really hate the way that this one looks, plus, I couldn’t fit the globe over the light once I replaced the incandescent bulb with a CFL bulb. So, I need a nicer looking fan with a light, but it still needs to not hang down too far, because of the low ceiling in there. Get some plants. Plants make a room healthy, by creating more oxygen, but also by removing toxins from the air. As I went through the room deciding on every little thing I could do to make the room nicer, I found a lot more to do than I thought I would! This is one of the nicer rooms in my house, one that I have spent more time decorating than most others, and there are still a lot of things to do. Honestly, I could have come up with even more tasks, but I want to create a list that I might finish in some reasonable period of time. It makes the room sound like a disaster, but I actually think it is a pretty nice room. 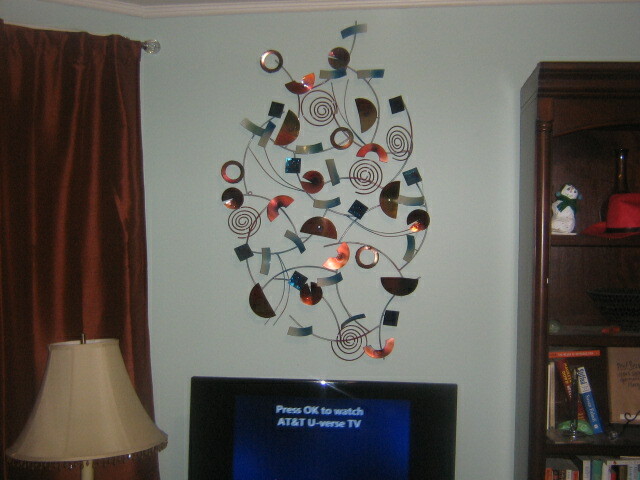 I like the furniture, I kind of love the copper colored insulated curtains, and I found the perfect metal sculpture for above the TV right after we moved in. My plan for now is to start with the cheap and easy items: declutter, hang the picture, wash the couch somehow, organize the coat closet. It will be nice to knock a few items off the list, and it will give me some time to make some decisions on things like what to do with the ceiling and whether or not to buy a coffee table. Also, I think I need to change this project name–it started out looking at decorating, but as I started making lists, I realized that this is also a maintenance list. Things like replacing a door handle or getting new cords for my wall sconces will make the room look nicer, true, but they are not strictly speaking decorating. This is a great place to keep track of them, though. I am posting my menu starting on Sunday, even though half of it has already been made and eaten. While I definitely like the planning ahead aspect of menu planning, one of the big reasons I blog my menus rather than just writing them down on scraps of paper that are quickly lost is for inspiration on those days when I can’t think of anything to cook. “Man,” I say to myself, “I only ever make totally boring food.” So not true, but when I am in that kind of mood, I only remember the salmon noodles casseroles and frozen burgers and fries that I make when I am short on time and energy. I definitely don’t want to eliminate those kinds of meals, because they keep us out of expensive restaurants and allow me to save my energy for other, more interesting meals. I would not be happy, though, with a week full of meals like that. I also have to call out the beautiful purple martiniswe drank while the chicken marinated. 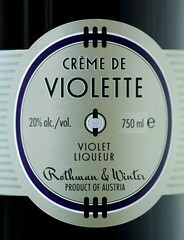 I am so glad I bought some creme de violette! Delicious and pretty, but pretty potent. We were feeling a little silly by the time the food was done, but we had such a good time! I made these up before I started chopping and stuck them in the freezer, then took them out to enjoy when I was done using the sharp knife. I got a tub of pulled pork at Costco this weekend, so you would think this was a quick and easy meal, since they did the 10+ hours of smoking the meat and then shredding it, but I decided to get all fancy and make two kinds of BBQ sauce, plus my own cole slaw dressing and roast some butternut squash. It was still easy, actually, just time consuming. I cut the squash into small pieces and threw them in a bowl to toss with some olive oil and cinnamon, then roasted in a 425 degree oven for about 30-40 minutes. I used this slaw dressing recipe, and this mustard BBQ sauce recipe, which were both amazing. For the traditional BBQ sauce, I mixed 1 cup ketchup with four TBSP each brown sugar, white vinegar and Worcestershire sauce and simmered for about 10 minutes. I put everything out on the table and let people make their own sandwiches, because I knew they would all be different. My daughter did plain pork on a bun, my son used the tomato BBQ sauce, my mom used both sauces, one on each half of her sandwich, and I did mustard sauce with the slaw piled right on the sandwich. So good! I finally have some tomatoes coming out of my garden! Of course, since I lost most of my tomatoes earlier this year to squirrels, and I don’t buy fresh tomatoes from the store anymore, I am out of the habit of using them, so I don’t know what to do with them anymore! Fresh salsa is easy, though, and went perfectly with the pre-made tamales I got from Costco. I like to have something easy when the kids are at their dad’s. I just don’t usually have a lot of cooking motivation for just me. This was going to be salmon noodle casserole, which was on the menu last week, but did not get made. I have a friend whose son is one my son’s best friends, and we usually get together on Wednesday nights for dinner, but last week she had strep throat and the flu. I know how hard it is to be the mom when you are sick–who takes care of mommy?–so I scrapped the plan and made chicken noodle soup instead and brought some over to her. I was going to move last weeks plan to this week, but then my friend and my daughter independently suggested tacos for this week, so that is what we are doing. I even have leftover fresh salsa. I’ll make the taco meat and beans, and bring along my salsa and the half of an avocado I still have left from dinner tonight, and my friend will provide shells, shredded cabbage and other fixings. Boy, was I running out of energy for menu planning at this point. My handwritten plan only says “some kind of risotto.” I know we had this risotto last week, but I have extra sausage in the fridge that needs to be used, and we all love this, so we are doing it again. I can even chop up a few more fresh tomatoes for this, so they won’t go to waste. The kids love pizza night, especially when it is Friday, ;). Today is Love Your Body Day. As I have been going about my day, I have been thinking about what loving my body means to me. I dont always love everything about my body. It doesn’t always look the way I want it to look, and now that I am 41, it isn’t as reliable as it used to be. A few weeks ago, one of my knees just started hurting for no reason that I can think of, and I have had to take it easy for far longer than I would like to get it back to normal. When I sit for longer than an hour or so, it takes me a few seconds to get going again when I stand up. I have weird aches in bad weather.On the other hand, my body grew two entire new human beings, which is pretty damn awesome.So, I started thinking about what it means to love my body on a practical level. How does one treat a body that they love? 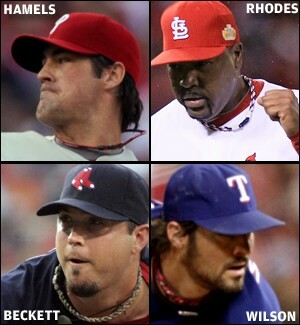 Here is what I came up with. I eat healthy foods. They make me feel good. I eat as many fruits and vegetables as I can, I try to make most of my grains whole grains, I usually avoid fried foods. This helps me stay healthy, and keeps my energy up throughout the day. I do not diet. I eat when I am hungry. I keep my focus on health outcomes rather than appearance outcomes, because that is better for me. I know that starvation is just as unhealthy as binging. I forgive myself when I have a day (or even a couple of days) when I don’t meet my usual standards of healthy eating. I don’t beat myself up over it and give up on ever eating healthy again because I am a failure at it, obviously. Not that I have done that in the past or anything. I, um, I hear that is something some people do. But I don’t. At least, I don’t now, and if I did in the past, well, I forgive myself for that, too. I exercise regularly. Again, this makes me feel good. When I use my body, it becomes stronger, I have more energy in general, and, while I may not lose weight, at least the weight that I have rearranges itself in more pleasing ways. I put on muscle fairly easily, and I like that feeling of strength. I teach my children that they should take care of their bodies. They should eat healthy foods and get regular exercise. They should limit treats. They only get one body, so they need to keep it in good enough shape to last them for as long as possible. I worked hard creating those bodies for them, with a healthy diet while I was pregnant, exercise, and regular medical care, not to mention all the cooking and chauffeuring to sports activities I have done since they were born, so they should respect their bodies. I do not look in the mirror and complain about my weight. I don’t say (anymore), “I hate this big belly.” Sure, I’d love for it to be smaller, but hate is a pretty strong word. I am able to look at it now and think that it might be healthier if I didn’t have quite so much belly fat, but I realize the looseness of the skin and the layer of fat at the bottom of my belly, underneath my belly button–the looseness and fat that have been there since my second pregnancy–are probably never going away, and I don’t really care. I grew two whole entire people in there. A little fat and loose skin cannot remove the awesomeness of that. What do you do to show your love for your body? Again with a fairly quick menu. I may be taking on a few too many tasks lately, and I am feeling a bit swamped. I don’t know what to drop, though, because they are all necessary in one way or another. I have to have a job, because we all like eating every day and having a place to live. I have to write, because, well, I just can’t do without it. Stupid entropy means I have to keep cleaning my house. I am working on decluttering to see if that makes it a bit easier, but that takes time, too. I have to exercise so that I have energy for all these tasks. I have also been somewhat obsessed with making things lately, whether it is food preservation, craft projects, or anything else I can think of. I want to go out and buy tools and build furniture, but when would I have the time. I have a real problem. Anyway, the dinner menu helps with this somewhat, because at least I don’t have to waste valuable time deciding what to make every day. I even spent a little bit of time thinking about breakfasts, although I ended up with the same plan as normal: oatmeal, smoothies, peanut butter toast. But hey, I bought some dried fruit, bananas, orange juice and extra bread, so that was some good thinking. I made this a little differently than what the recipe calls for: I used one pound of scallops, shrimp and calamari, because that was just over half what a pound of scallops cost at Trader Joe’s. I also added a lot of kale from the garden, and I made my own chili sauce with ketchup and chili powder, because I forgot all about chili sauce, even though it was on my list. I’ll probably use kale here, too, and I will definitely add some garlic. I love this recipe, but the kids are not fans, so I will make this for just me. This is a family favorite, based on a recipe from Sandi Richard’s Cooking For the Rushed, The Healthy Family, but I have modified it a bit. I don’t bake it, for one, we just make it on the stove top, and I add the peas into the skillet with everything else. Of course, I also use non-dairy alternatives for the milk and cheese, but that kind of goes without saying (but here I am saying it anyway…). This is also based on a recipe from the Sandi Richard book, but I use a mushroom soup instead of the chicken soup. It is basically just a bunch of chicken and veggies, and everyone like it, for a miracle.